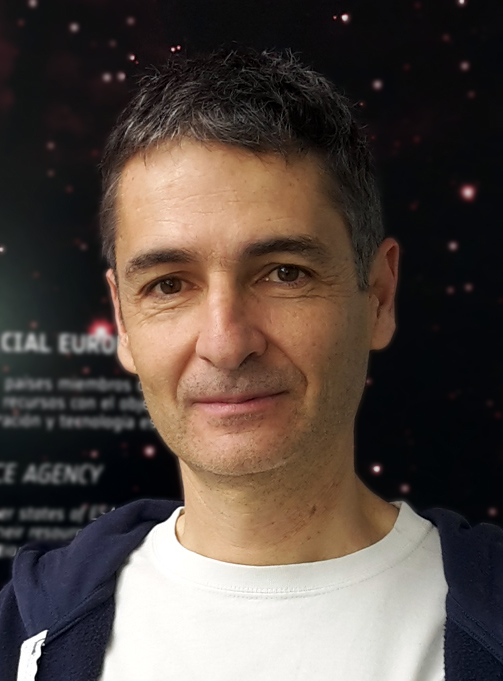 Dr. Miguel Algueró, born in Zaragoza (Spain, 1969), BSc in Physics (Universidad Autónoma de Madrid, Spain, 1992), MSc in Physics of Materials (Universidad Autónoma de Madrid, 1995), PhD in Physics of Materials (Universidad Autónoma de Madrid, 1998). Senior Researcher at Instituto de Ciencia de Materiales de Madrid (ICMM), of Consejo Superior de Investigaciones Científicas (CSIC, Spain), since March 2010. Tenured Scientist at ICMM, CSIC, from July 2006 to February 2010. Ramón y Cajal Researcher at ICMM, CSIC, from January 2001 to June 2006. Marie Curie Postdoctoral Fellow at Materials Department in Queen Mary University of London (QMUL, United Kingdom), from September 1998 to August 2000. Leader Researcher of the on-going research project MAT2017-88788-R of the Programa Estatal de Investigación, Desarrollo e Innovación Orientada a los Retos de la Sociedad (Spark Plasma Sintering as a as a suitable technique for obtaining layered magnetoelectric materials: multiferroic single phases and composites structured at different scales). Leader Researcher of other 5 projects with thematics related to ferroelectrics and multiferroics, completed during the last ten years : MAT2014-58816-R of the Programa Estatal de Investigación, Desarrollo e Innovación Orientada a los Retos de la Sociedad (Lead-free single-phase multiferroics for sustainable magnetoelectric technologies), MAT2010-18543 of the Programa de Investigación Fundamental, Subprograma de Proyectos de Investigación Fundamental no Orientada (Novel multiferroic materials for ceramic technologies and their structuring at different scales: single phase and composites), MAT2009-07551-E, also of the Programa de Investigación Fundamental, Subprograma de Acciones Complementarias para los Proyectos de Investigación Fundamental no Orientada, Modalidad F- EXPLORA (A novel concept for obtaining magnetoelectric films, functional at room temperature for information technologies), MAT2008-02003/NAN and MAT2005-01304. Visiting Reseacher at Departamento de Física, of Universidade Federal de São Carlos in Brazil, within the Ciência sem Fronteiras Programme, Linha de Atração de Cientistas para o Brasil, from March 2014 to February 2017. Strong implication in the European Progamme COST (Cooperation in the field of scientific and technical research), with direct involvement in 5 Actions, 2 of them in the last five years: IC1208 (Integrating devices and materials: a challenge for new instrumentation in ICT, active), and MP0904 (Single phase and multiphase ferroics and multiferroics with restricted geometries). Spanish representative in the Management Committee of the latter Action, and Member of the Core Group of this Committee as coordinator of Working Group 1 on Novel Ferroic Nanostructures. Participant in 33 projects, Networks and Collaborative Actions of Spanish and the European Commission Programmes. 103 scientific articles in journals indexed in the Journal Citation Report (JCR) and included within the Q1 (85) and Q2 of their areas. Co-editor of the book “Nanoscale Ferroelectrics and Multiferroics: Key Processing and Characterization Issues, and Nanoscale Effects”, edited by John Wiley @ Sons (2016): ISBN: 978-1-118-93575-0. Member of the Editorial board of Journal of Advanced Dielectrics. Co-organizer of the symposia “Ferroelectrics and Multiferroics for Energy Applications” within Materials Challenges in Alternative & Renewable Energy 2016 (MCARE 2016), and “Multiferroic single-phase and composite materials for novel magnetoelectric technologies” within EUROMAT 2013. 200 communications in scientific congresses, symposia and workshops; 22 invited and 72 oral. Multiferroic and ferroelectric materials for information technologies, covering all single-phase and composites, ceramics and thin films, processing and properties; by mechanosynthesis, sol-gel, templated grain growth, spark plasma sintering, of electrical, mechanical, electromechanical and magnetoelectric properties, nanostructuring and size effects in the nanoscale.